Arizona Bobtail Insurance – Are There Gaps In your Coverage? 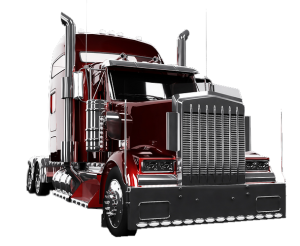 If you are looking for Bobtail Insurance in Arizona then you may already be aware that there could be gaps in your commercial trucking coverage. The agents of Pathway Insurance would be happy to help you identify the gaps in your protection and find affordable coverage solutions to close those gaps. You may remember from our last entry that Sandra Bergman is a self-employed truck driver who just received some bad news. After making an 18 hour delivery from Phoenix to Dallas, Sandra has just found out that the delivery she was scheduled to make for her return trip has been delayed. Because she can’t find another delivery on such short notice, and because she has an even more important delivery waiting for her just two days from now, she has no choice but to drive back to Phoenix without a trailer. After driving for about six hours through patches of fog, Sandra is shaken violently as another semi changed lanes without checking his mirrors properly and slams into Sandra’s trailer-less truck. The impact forces Sandra off the road and into a tree. Sandra walks away from the wreck without any serious injuries, but her truck has seen better days, to say the least. After speaking with the police Sandra calls her insurance company to inform them of the accident. The $64,000 question (literally) is: will the insurance company cover the damage to Sandra’s truck? The answer depends on what kind of coverage, if any, Sandra has for her truck when not attached to a trailer. Sandra’s a smart lady and foresaw that an accident like the one she’s found herself in could happen, so many months prior she called up her insurance agent and asked to be set up with a policy that would cover her when not under dispatch. Her insurance company approves the claim and covers the damage, which amounted to just over $64,000. Had Sandra not contacted her insurance agent to find out about a policy that would best serve her needs, she would have had to find a way to pay this sum out of pocket. There are two kinds of coverage designed to protect your truck when not hauling a trailer, and they each apply in slightly different circumstances: Bobtail Insurance and Non Trucking Liability Insurance. What are the differences between the two, and which one do you need? The best way to answer that question would be to contact an agent at Pathway Insurance today. Click the chat window you see in the bottom-right corner to chat with a licensed agent today! Bobtail Insurance Arizona – Contact Us Today!